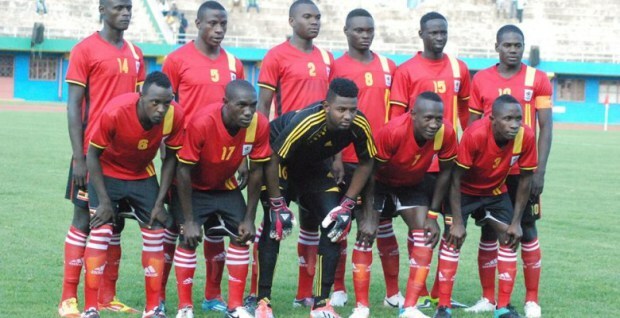 The Uganda U23 national team, Kobs have been pitted with South Sudan in the AFCON 2019 qualifiers’ first round. Sebastian Desabre’s side who last featured in the continental qualifiers back in 2015 will host the first leg between 12th and 16th of November in Kampala before heading to Juba for the return leg the following week. The winner between the Kobs and their South Sudan counterparts will take on Tunisia in the second round of qualification. The second round is scheduled to be played in March 2019 with the first leg taking place between 18th and 22nd while the return leg happening a week later. From there, will be the final qualification round. It will take place in early June and it’s from the games that eight teams will qualify for the finals’ tournament in Egypt. The tournament will run from 8th to 22nd of November 2019. The Kobs last featured in a two-legged affair against Egypt in which they lost home and away. They first went down 4-0 in Cairo before losing 2-1 at Namboole. The tournament in Egypt will be the 3rd edition of the Africa U23 Cup of Nations, the quadrennial international age-restricted football championship organised by CAF for the men’s under-23 national teams of Africa. The tournament will determine which three African teams will compete at the 2020 Summer Olympics men’s football tournament in Japan. Nigeria are the defending champions of the tournament having won it in 2015, defeating Algeria 2-1 in the final. Gabon won the first edition in 2011, winning 2-1 against hosts Morocco in the final.